Mississippi has been an early adopter of telemedicine beginning in 2003 with the introduction of real-time, tele-emergency service connecting trauma clinicians at the University of Mississippi Medical Center with rural emergency departments throughout the state. Mississippi continues to be a national leader in the adoption and innovative application of telemedicine. FIGURE 1. 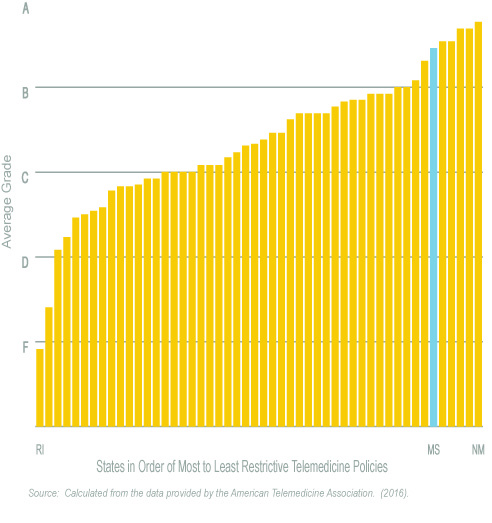 AVERAGE STATE GRADES IN ADOPTION OF TELEMEDICINE POLICY, 2016. 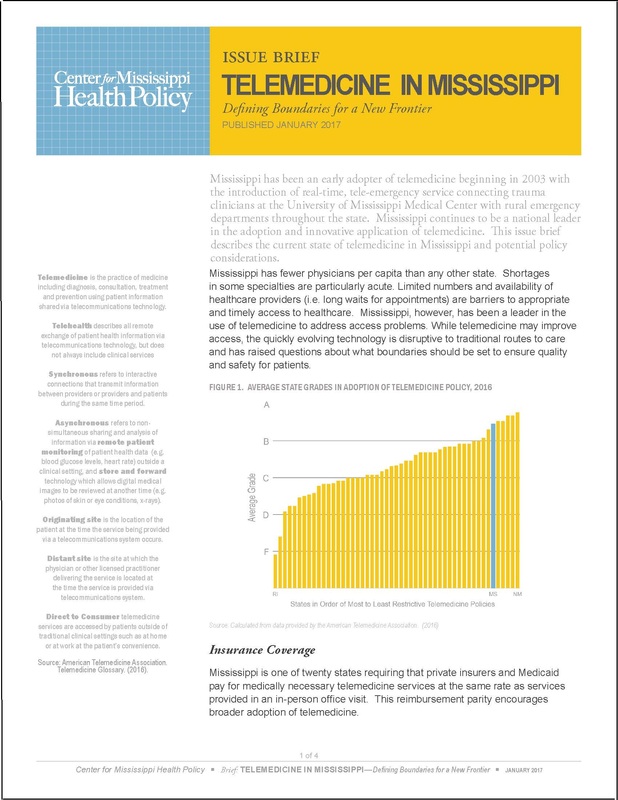 Mississippi is one of 20 states requiring that private insurers and Medicaid pay for medically necessary telemedicine services at the same rate as services provided in an in-person office visit. This reimbursement parity encourages broader adoption of telemedicine. 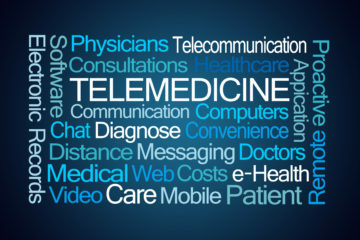 Utilization – does telemedicine promote over-utilization? Privacy and security – how can patients be assured that communications are secure and private? Licensure – do distant providers need to be licensed in Mississippi? Physician-patient relationship – does telemedicine interfere with physician-patient relationships? Audio-only communications – should insurers be required to cover telemedicine that has no visual component? Should telemedicine providers be restricted to only audio-visual communication? Schools as sites of service – should coverage for telemedicine be expanded to schools, which may be staffed by a school nurse, but no physician or nurse practitioner to facilitate communication with the provider at the distant site? As the healthcare industry shifts rapidly due to evolving technologies and consumer expectations, providing quality health care that meets the needs of an on-demand society will be challenging. Policies need to achieve a balance between progressive measures designed to meet growing demands for new technologies with intentionally cautious measures that will assure high quality standards of care. Mindful adoption of telemedicine policies is critical to ensuring that the new technologies help the state reach this goal and meet Mississippians’ complex health needs. To download a copy of the issue brief click HERE.